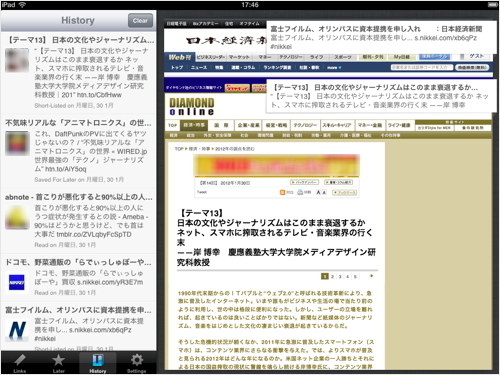 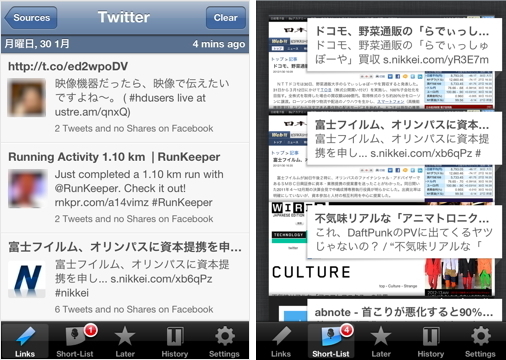 Universal app for iPad and now iPhone and iPod Touch. 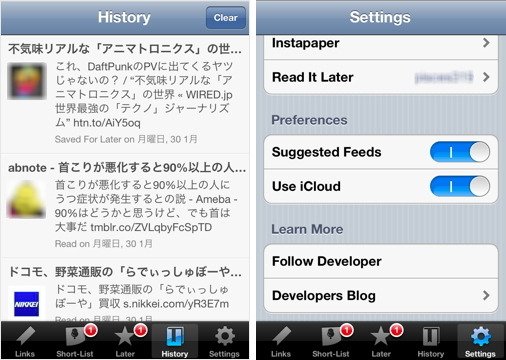 iCloud synchronization of short-list, saved for later and history. 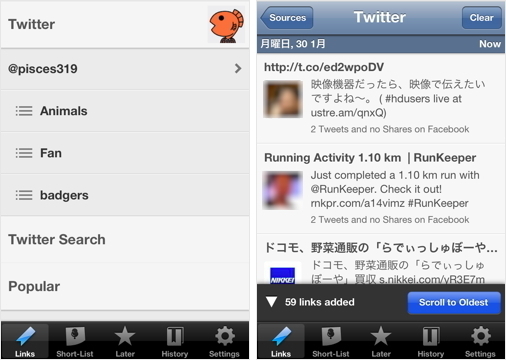 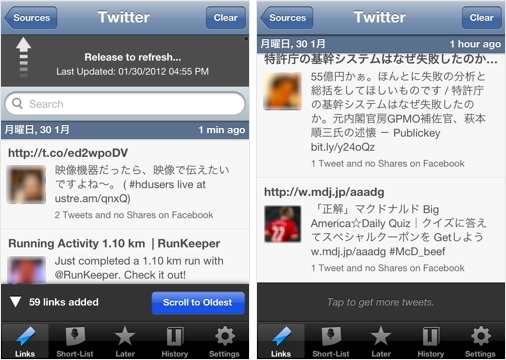 Uses iOS 5 Twitter integration for account management.